recipient: Michelle Wolf, Sam Bee, all reporters and comedians. "Flint still doesn't have clean water." That's how comedian Michelle Wolf ended her brave, edgy, and yes — still incredibly funny — monologue at the 2018 White House Correspondents' Dinner. Sorry haters, but Michelle Wolf was just speaking the truth — and she was hilarious. That's why after learning that the WHCD wouldn't even let a comedian host this year, I decided to ask Michelle Wolf to host a separate event. It's no secret that Trump has it out for the press — a fact that should really scare all of us — so why indulge him by attending the traditional dinner? 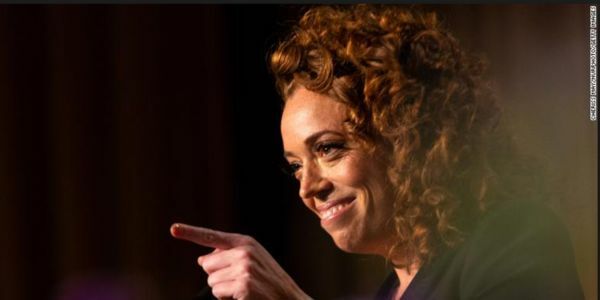 Instead, reporters and comedians should do a separate event like Sam Bee's Not the White House Correspondent's Dinner — and Michelle Wolf should host! It's shameful that the White House Correspondents dinner has publicly expressed "regret" for Wolf's remarks last year when they should have stood by her for speaking truth to power. Let's face it, her words caused controversy because they forced many in the audience to take a hard look at themselves. So, if Trump can't take a joke at this formal event and the event is going to bend to his will, let's ditch it altogether for a more powerful and more helpful event like Sam Bee's Not the White House Correspondent dinner.